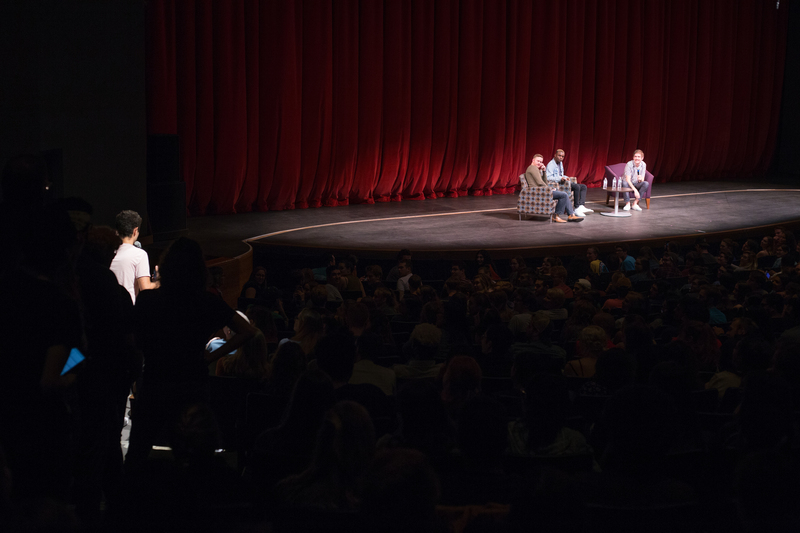 Bo Burnham sat down with Orrin Kenyon, assistant director for the University Union, and Courtney Mitchell, the Student Association (SA) vice president for programming and a senior majoring in computer science, along with a sold-out crowd in the Osterhout Concert Theater in the Anderson Center. In a two-hour Q&A-style conversation, Burnham touched on being a director, producer and comedian in 2018, spoke on social media and its intersectionality with politics, youth, anxiety, performing, comedy and simply being a person. Burnham started his career on YouTube back in 2006, posting videos of skits meant for his brother, who was away at college, to see. Today, Burnham has over 1.5 million subscribers and has logged over 200 million views on his videos, along with three stand-up comedy specials. For his latest project, he’s behind the camera to write and direct his feature film, “Eighth Grade.” The comedy-drama follows the struggles of an anxious eighth-grader during her last week of classes before embarking for high school and tells the story of an average, unpolished, awkward 13-year-old girl. Burnham curiously answered each question, taking a few pregnant pauses to collect answers to the questions Kenyon, Mitchell and the audience asked. Though he lost track of the original question, it seemed to be indicative of the goodness and provocation of the questions he was being asked. At 28 years old, Burnham seemed to have an acute awareness of the impact of social media on global culture as a whole, wanting to extend to the college-aged audience the knowledge he’d gathered from his unique experience as a content creator who had been there before the crest of YouTube and explosion of social media. 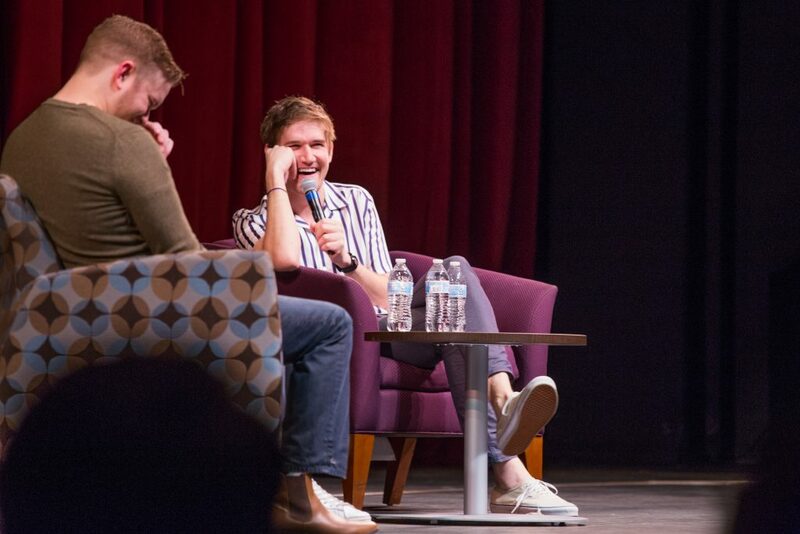 Bo Burnham, director and comedian, among other things, was featured in the Distinguished Speaker Series at the Osterhout Concert Theater on Oct. 7. Burnham effortlessly weaved comedy, sincerity and uncertainty into each of his answers. As a peripheral fan of Burnham, I found it not only easy, but interesting to hear the points he made about his personal experience as a public figure who lived his young adult life out on the stage of the world wide web. Having seen the rise of the internet, the college-aged audience laughed, asked and clung to Burnham’s stream of consciousness as he intuitively answered each question that was thrown his way. More seasoned Burnham fans enjoyed hearing him speak to his work, rather than listening to his whimsical, socially conscious jingles. Burnham talked a lot about the themes and creation of “Eighth Grade.” One student asked him about his experience working with the kids on set. Even if you haven’t seen the movie, the themes are easy to relate to even on a conversational level. Much of our generation has Facebook to remind us of the five-year anniversaries of duck face-clad, sepia-filtered photoshoots, delivering to us a time capsule of the anxieties and blissful memories from middle school. The movie speaks to the ubiquity of those feelings beyond the scope of the eighth grade, and made for a meaningful conversation about universal struggles everyone can face.